There has been much debate recently about subsidy in the energy industry and for wind energy in particular. According to the EIA, in 2007, wind energy received $724 million in federal support. That’s a lot right? Well, that same year fossil fuels received $3.2 billion in subsidy. These figures only take into account the direct subsidies. We often overlook the hidden costs, sometimes called “externalities” related to energy generation. To get a full accounting of how much the taxpayer subsidizes energy we have to look at these externalities, and chief among them are damage to human health and damage to the environment. 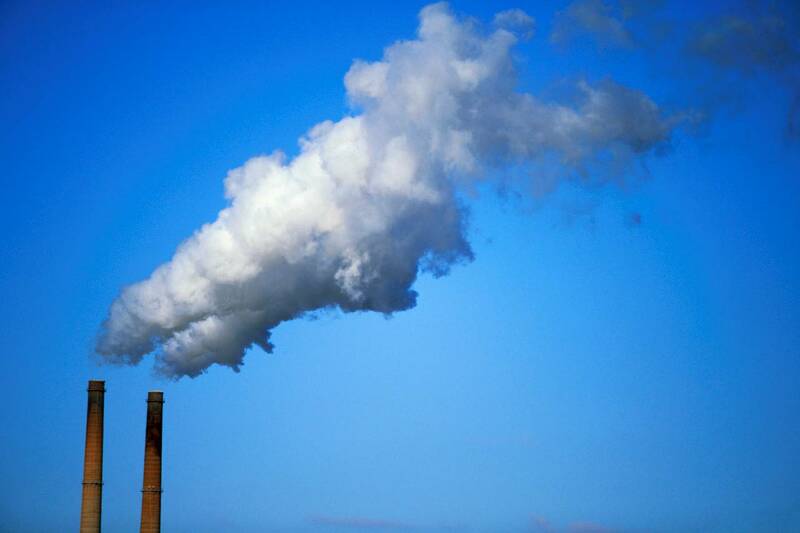 Burning fossil fuels releases many dangerous compounds that cause lung damage, asthma and premature deaths from air pollution, birth defects from mercury fallout, and damage to buildings, timber harvests and ecosystems from acid rain. The National Academy of Sciences, in a report requested by Congress, calculated these damages at $120 billion a year in the United States. These costs are very real and they are not reflected, or “internalized” in market prices. In effect, they are a hidden subsidy for polluting energy sources. Coal plants are the biggest source of such external, or “hidden” costs, with domestic non-climate damages alone averaging $62 billion annually, equivalent to 3.2 cents per kWh. Climate-related damages from coal power plants are estimated to range from 0.1 cents to 10 cents per kWh. The cost for cleaning up after coal then ranges from 3.3 cents to 13.2 cents per kWh produced. This is in addition to the billions of dollars in direct subsidies. In comparison, wind energy is clean. There are no hidden costs—a wind turbine produces no harmful chemicals so there’s no disease or birth defects, no damage to our environment. Like the rest of our electricity sources, it gets a subsidy, to the tune of 2.3 cents per kWh. But that’s a real bargain compared to coal. 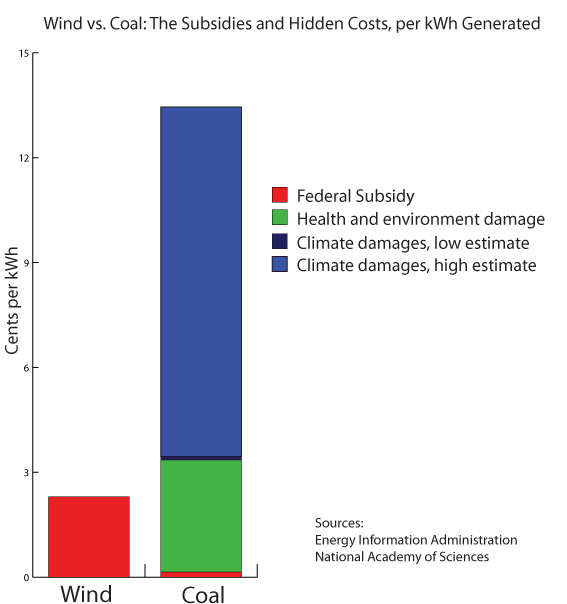 Between the subsidies and the health and environmental damage, coal costs 3.5-13.4 cents per kWh. That means the direct and indirect subsidies for coal are at least 50% more, and perhaps 5 times more, for coal derived electricity. U.S. Energy Information Administration: How much does the Federal Government spend on energy-specific subsidies and support? The numbers are in and…it’s a bit of a mixed bag. Nationally, we saw a 15% increase in capacity since the beginning of 2010. That’s an increase of 5,115 megawatts and brings the country to 40,180 megawatts. Unfortunately, that’s 50% less growth than we saw in 2009. 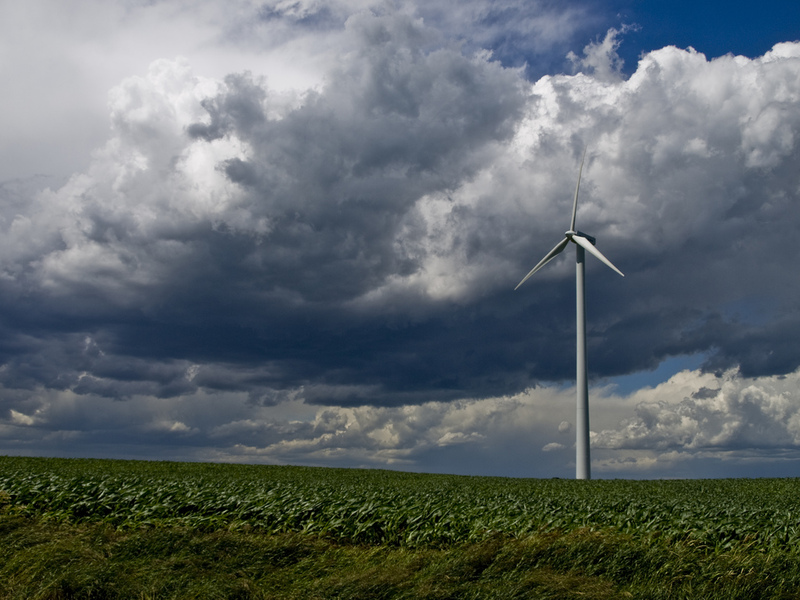 Minnesota, National Wind’s home state, added 22% capacity, beating the national mark. The state added 400 megawatts in 2010. The added capacity brings Minnesota to 2,200 megawatts of wind energy and bumps it to #5 in the nation for total capacity. Internationally, the big news is that China has supplanted the U.S. as the world leader in wind energy. China added 16,000 megawatts in 2010, more than three times that of the U.S., bringing its total to 41,800 megawatts. These numbers reflect tremendous growth–China’s wind energy capacity increased by 62% last year. The U.S. had led the world in most wind energy installed since 2008 when it overtook Germany for the top spot. Elizabeth Salerno, AWEA Director of Industry Data & Analysis, argues that 2011 is likely to be a better year for U.S. wind than 2010. “Wind’s costs have dropped over the past two years, with power purchase agreements being signed in the range of 5 to 6 cents per kilowatt-hour recently,” Salerno said. “With uncertainty around natural gas and power prices as the economy recovers, wind’s long-term price stability is even more valued. We expect that utilities will move to lock in more wind contracts, given the cost-competitive nature of wind in today’s market.” That, combined with the fact that we’ve entered the year with 5,600 megawatts already under construction, suggests a brighter outlook. Wind energy still faces challenges, however. Chief among these is the inconsistency of federal support. The Production Tax Credit is set to expire in 2012. The American Recovery and Reinvestment Act’s Treasury grant program, set to expire in 2010, received a last-minute extension through 2011. We still lack a national renewable portfolio standard. Congress continues to pass short-term measures and pass the football on the kind of long-term, consistent standards required to ensure clean energy will have a prominent place in our future. The uncertainty caused by this inconsistent support hurts investment and slows growth. The fact that China has overtaken us is evidence of this–they’ve shown leadership, so where’s ours? The letter from the GWEC, which includes governors from both parties across the country, described “job creation, secure energy supplies, and cost-effective carbon emissions” as some benefits of a national RES. This is consistent with the findings of the American Wind Energy Association (AWEA), which states that an RES of just 15% would guarantee 85,000 US jobs. This 15% standard is less than what is already required by many states that have passed their own standards. In addition, an RES would attract huge investment in the renewable industry. For instance, according to the AWEA, CEO Lew Hay of NextEra Energy has already pledged that his company would invest an additional $2.5 billion dollars per year in renewable energy if an RES were to pass. Above all else, pro-RES senators and governors have stressed the urgency of passing a renewable mandate sooner rather than later. This reflects the idea, long voiced by industry leaders such as General Electric CEO Jeff Immelt and AWEA CEO Denise Bode, that securing investment in the US renewable energy sector is a time-sensitive issue. An RES will guarantee a market for renewable energy in the US far into the future. However, other countries (particularly China, which recently surpassed the US in annual wind installments) are already making big investments in renewables and securing much of the global investment and jobs. If the US wants to make itself the world’s renewable energy leader and thus gain a valuable export industry, it has to act soon. One of the best attributes of a national RES is that it would bring the benefits of wind to states that don’t have enough wind resources to support large project development, especially the southeastern part of the country. 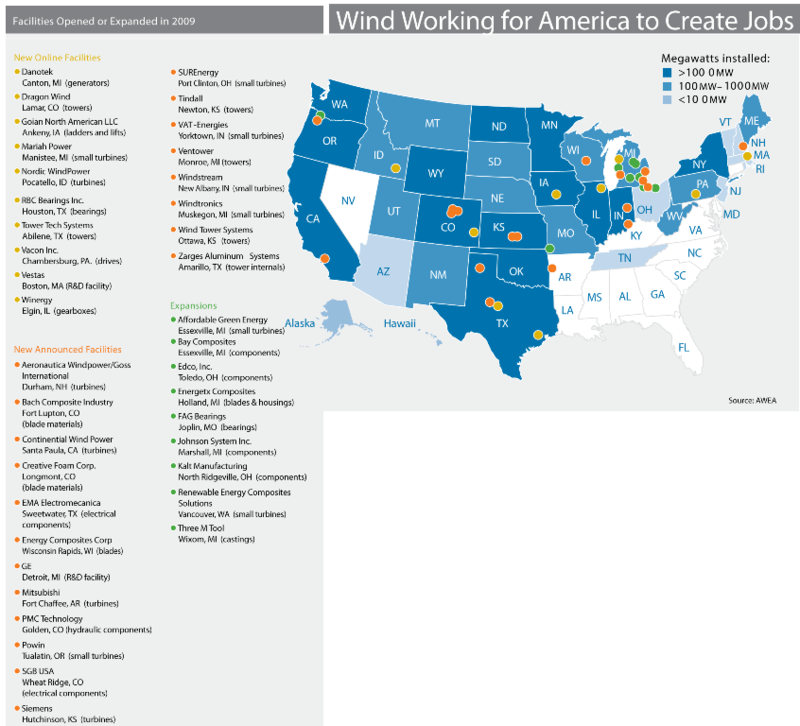 These regions would likely experience a growth in manufacturing jobs as wind component factories open their doors. The RES would also ensure wind would comprise much of the energy on the grid, even if that energy is not actually produced in the region. An RES, by guaranteeing a market for wind energy in the US, would provide exactly the kind of long term stability Kjaer is talking about. So contact your Senator about supporting a Renewable Energy Standard today! 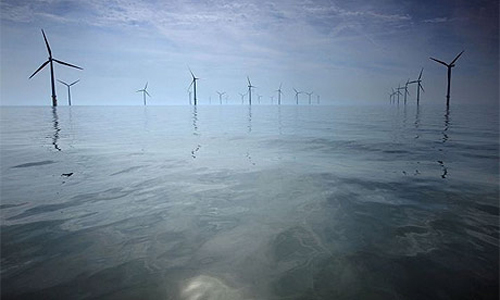 The prospect of offshore wind farms seems like it’s been floating around for a long time now. We’ve heard about the controversy over Massachusetts’ Cape Wind Project and we’ve seen pictures of the offshore wind installations in European countries such as Denmark and the UK. Yet, to date, no offshore wind farms exist in the United States. Essentially, offshore wind has long been one of the “next big things” on the horizon, but has yet to make the jump to reality. However, 2010 has quietly been a good year for the offshore industry, even though no projects have actually been built. One good sign came from New Jersey, where on August 19th Governor Chris Christie signed the Offshore Wind Economic Development Act (OWEDA). OWEDA will provide tax incentives and financial support to developers building wind projects off New Jersey’s coast. It will also establish a renewable energy certificate program specific to offshore wind, part of which requires the state to set a target indicating the percentage of its electricity that should come from offshore wind projects. This is some of the first legislation in the country specifically geared toward supporting offshore wind, and thus it may illustrate one possible way for states with limited on-land wind resources (a category that includes pretty much the entire eastern seaboard) to capitalize on their renewable potential. Again, no projects have reached the construction phase, but two of New Jersey’s planned offshore projects—the Bluewater Wind Project and the Fisherman’s Energy project—have built meteorological towers and floated them into the Atlantic on buoys to begin collecting wind data. Another promising development occurred back in April, when the aforementioned, much-maligned Cape Wind project finally received the go-ahead to begin construction, pending lawsuits. Once built, the project will provide the same amount of electricity as a medium-sized coal plant and reduce carbon emissions equal to removing 175,000 cars from the road. It’s nice to see a project which has always enjoyed tremendous popular support (81% of Massachusetts citizens and 61% of Cape Cod citizens endorsed it as of 2005), finally get cleared. 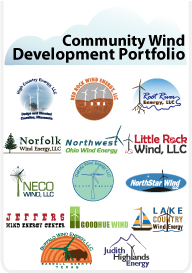 At National Wind, we’re not about to develop any offshore projects anytime soon (we’ve got plenty of lakes here in Minnesota, but none of them are quite big enough). 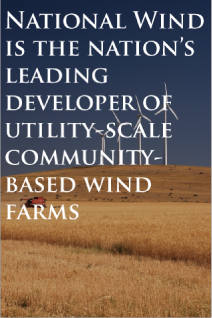 National Wind’s first priority is to develop the United States’ excellent land-based wind resources, which include some of the best wind regimes in the world. However, we still think offshore wind projects have the potential to be great sources of electricity. They have all the environmental and economic benefits of land-based projects, and with the added benefit of increased wind speeds over water when compared to land. With this in mind, it’s time we take advantage of the rich energy resources our coasts have to offer. One part of President Obama’s 2009 stimulus bill that has benefitted wind energy and other sources of renewable energy is a program designed to help clean power projects pay off their loans. Known as the Renewables Loan Guarantee Program, it has already provided $1.481 billion to 10 different projects. In doing so, it’s accelerated those projects’ development and produced new jobs. Unfortunately, the program has also suffered some budget cuts, including a $2 billion deduction in late 2009 and most recently, on August 10th, another $1.5 billion. As a result, the original $6 billion dollar program is now down to $2.5 billion. While there is still a good deal of money left, and the program has already done admirable things, these are significant cuts which will slow down the arrival of clean electricity production in our energy mix and green job growth in our economy. We think these benefits form a strong argument for supporting continuous renewable energy investment. Even though the project has lost funding, it has been strengthened in other ways. The program’s application deadline was originally August 24th 2010, but is now extended to October 5th, allowing more projects to take a shot at the money. In addition, the Department of Energy recently invited companies that manufacture the parts used in renewable energy projects to apply for the grant as well (in the case of wind energy, these “parts” might include things like turbine blades and generators). All of these changes open the funds to a broader range of applicants. Even outside the range of this one specific program, the general public policy landscape remains a source of optimism among renewable energy advocates. 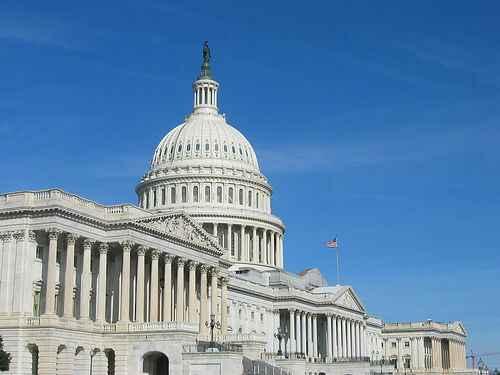 The Production Tax Credit (PTC) supporting wind energy development is guaranteed by the stimulus bill to remain in place at least through 2012. Also, while a national Renewable Energy Standard failed to pass during the last legislative session, there is growing national support for enacting one. In light of this, government policy toward wind energy looks like it will remain very supportive despite the recent cuts. Having good wind resources is only part of what’s needed for a thriving wind industry. Another essential component is transmission: wind farms just aren’t useful if there’s no way to get the power from the farm into the city. One state grappling with this issue is Montana, which has abundant wind resources but has struggled to build enough power lines to put them to use. That’s not to say that Montana doesn’t have a strong desire to embrace renewable energy (it does), but first the state must confront several daunting challenges when trying to complete new transmission projects. For starters, there’s a need to limit the extent to which power lines pass through protected forests and national parks; second, many landowners are hesitant to have lines built on their property when the majority of the power won’t even be used in their state; third, Montana is huge, so transmission projects are lengthy and thus expensive. 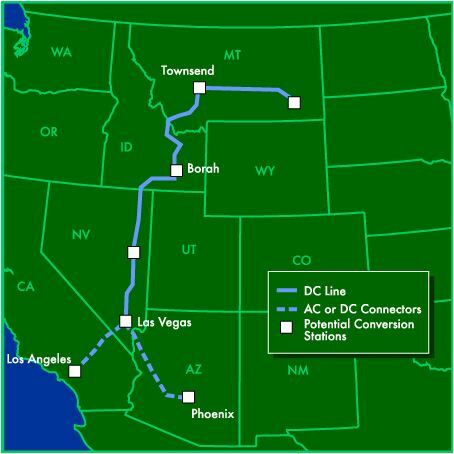 Despite this, the Energy Promotion and Development Division (EPDD) of the Montana Department of Commerce recently provided updates on six transmission projects currently under construction in the state. They include lines connecting wind farms in geographically remote areas of the state, and will also link Montana’s renewable energy sources to electricity markets as far away as Las Vegas. When built, the lines will add 12,000 megawatts (MW) of electrical capacity to the grid, nearly all of which will be used for clean energy projects. And in Montana, “clean energy” usually means wind. It has the fifth greatest wind potential of any state and about 50 wind projects in varying stages of planning and permitting. The Montana Department of Commerce says that it would like to achieve 10,000 megawatts (MW) of wind capacity in the near future, up from the 386 MW that are currently installed, in order to help meet the US Department of Energy’s goal of producing 20% of our energy from wind by 2030. One interesting aspect of Montana’s recent push to boost its grid is an effort by the Western Governors’ Association (chaired by Montana Governor Brian Schweitzer) to fast-track the difficult and time-consuming permitting process for building new transmission. According to Schweitzer, that effort comes out of a desire to get renewable power on the grid, and do it quickly. He’s quoted by one source as saying, “You can’t develop alternative energy sources until you get transmission. You can’t put electricity in a bottle and send it down the river.” The permitting process for building transmission is typically much longer and more difficult than the permitting process for building wind farms. According to the Department of Energy’s National Transmission Grid Study, major transmission projects often experience up to 10 years or more of delays before they can be built. As a result, there are hundreds of wind projects around the country, waiting on new transmission lines to proceed. This fact makes any effort to streamline the transmission process highly commendable. The US transmission grid, which our own Department of Energy finds to be antiquated, will need significant additions and improvements over the next decade to accommodate renewable energy and improve reliability. Luckily, Montana is one state helping lead the way to solve this nationwide problem. Even though the US has been the world leader in electricity-generating wind capacity for decades, many components of wind turbines—items such as generators, blades, and gear boxes—have historically been manufactured overseas. In fact, as recently as 2005, three quarters of manufacturing for the US wind industry was done on foreign soil. However, in recent years, explosive U.S. wind industry growth has amplified the demand for turbine imports, creating a supply shortage. As a result, a substantial increase in domestic wind manufacturing has occurred. According to the US Department of Energy, 68% of turbine parts are now made in the USA. What has accounted for this change, besides growth in the industry? Many of the world’s largest wind manufacturing companies are recognizing the potential in the US market and opening new plants in the Midwest in order to be close to areas of high demand. According to the American Wind Energy Association’s (AWEA) 20% Wind by 2030 report card, 65 new facilities have opened in the past two years alone. These new plants are creating jobs and bringing new life to manufacturing towns hit hard by the 2008-09 recession. Also, our workforce is gaining greater know-how: over 100 colleges and universities have now developed course work geared toward teaching students how to build and install turbines. 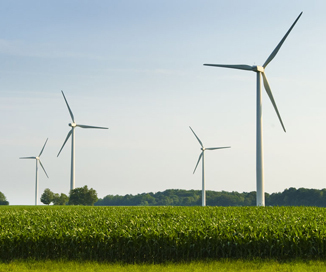 Being able to produce turbine parts domestically is a huge boon for the U.S. wind industry. It lowers transportation costs, allows the industry to take advantage of US workers’ long history of manufacturing expertise, and spurs investment in US wind companies. These benefits are the reason that passing a national Renewable Energy Standard (RES) is such a priority for our nations wind industry: an RES would create market certainty and thereby encourage manufacturers to keep building plants in the US. That’s why we’re rooting hard for Congress to pass an RES in fall 2010. Contact your Senator or Representative today! Watch out everybody, turbines are growing. According to the 2009 Wind Technologies Market Report (WTMR) released this August by the US Department of Energy, a turbine’s average nameplate capacity (the maximum output a turbine can produce), hub height (distance from the ground to the spot where the blades converge), and rotor diameter (diameter of the circle traced by the blades as they rotate) have all increased during the past year. The average turbine now stands 258 feet tall with a rotor diameter of 268 ft. It can also produce 1.74 megawatts (MW) of power under near-ideal conditions, up from 1.66 MW in 2008. These are encouraging signs; the larger the turbine, the more efficient it will be at low wind speeds. Turbines that can produce at low wind speeds are more reliable and thus make it easier to integrate wind into the electrical grid. The manufacturing and engineering skill needed to build big is also indicative of wind becoming more deeply entrenched in the American energy industry. Furthermore, it’s not just the turbines themselves that are scaling up; the size of an average wind farm is increasing as well. The WTMR finds that the average wind farm constructed in the US in 2009 had a capacity of 91 MW, higher than any other year on record except for 2007. The larger the average capacity of a US wind farm, the more viable wind becomes as a major factor in the country’s energy mix. Also, larger wind farms are more affordable because of associated economies of scale, and more reliable because they have a lower variability of electricity production from high-wind to low-wind periods. According to the WTMR, the total installed wind capacity in the United States is growing all the time, at an exponentially faster rate as time goes on. An especially exciting statistic is that the U.S. has the potential to install 300 gigawatts (GW) of wind capacity if we build an interstate transmission network. Even though the vast majority of that capacity is undeveloped, it’s still a promising number. It means the Department of Energy’s goal of producing 300GW from wind by 2030 is firmly within reach. It also means that 2011 and 2012 are primed to be huge years for bringing more wind energy on line. All of this points to a reassuring bottom line: our energy future is looking much cleaner. The US Department of Energy’s recently published 2009 Wind Technologies Market Report shows a rising trend in domestically manufactured turbine equipment. According to AWEA’s annual market report, the share of domestically manufactured turbine components grew from 20-25% in 2005 to around 50% in 2009. Financially, the numbers show a decreased dependence in imported turbine equipment in 2009 than the previous two years. Despite the industry’s largest installation growth in 2009, only $4.2 billion was spent on imported parts and goods, compared to $4.6 billion spent in 2007 and an industry peak of $5.4 billion spent in 2008. When we look at it in terms of percentage, it’s even more promising. Around 85% of total turbine cost was spent on imported parts in 2006, decreasing dramatically over the next four years to 39% in 2009. These figures consider the fact that some parts may be purchased in the previous year and used in the following, and a four month lag was adjusted to compensate for this assumption, and the analysis is made from September of the previous year to August of the following. The United States still leads the way in global importation of turbine equipment, representing approximately 34% of worldwide imports. This seems like a rather significant percentage – especially since no other country reached 10% of global imports – but keep in mind, 2009 installations increased our annual capacity by almost 10,000 MW. Plus, the United States contributed rather significantly to global installations, placing second after China (13,750 additional MW). Spain trails in third with a significantly lower 2,331 additional MW installed. Continuation of the domestic production trend could lead to future economic benefits. Last year, 13 new facilities opened and 21 were announced. Because of increased domestic production, a number of American manufacturers previously inactive in the wind energy sector were able to transition into the industry. As a result of these developments, AWEA estimates that the wind energy sector employed around 85,000 full-time employees in 2009. Although these figures were the same in 2008, the number of job-years was significantly higher for 2009 than for 2008. This suggests that wind energy is providing stable jobs to our economy. Based on the numerous sector projects announced in 2009, the US Department of Energy expects increased domestic production in the years ahead, but only if our wind power market remains stable. Enforcing a national RPS could greatly facilitate the stability of the wind market. Unfortunately, as we have mentioned in our previous blog post, a national RPS is no longer included in the energy bill. We continue to encourage you to contact your Senators and urge for the inclusion of a renewable energy standard in future legislation. Even though wind energy is a clean and cost-effective source of energy, it does have one slight drawback: no one can control when the wind blows. This occasionally leads to difficulties in matching consumers’ demand for energy with the available supply. For instance, when the wind is strong but demand for electricity is low (i.e., late at night), wind farm operators may have to turn turbines away from the wind to avoid overwhelming the electrical grid. Of course, the opposite scenario can also occur, in which the wind is not strong enough to meet demand for electricity during a peak period. One potential solution for this problem has been the subject of much attention and research lately, and that solution is the use of batteries. 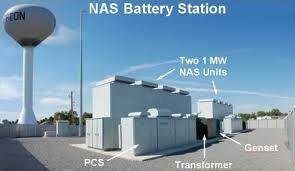 Really, really, big batteries, that is. Batteries could help by allowing wind farms to store energy during periods of low demand and then transfer it to the grid when demand is high. These batteries would also come equipped with computers that could ensure the electricity is released at a fixed rate, making wind power similar to natural gas and other power sources which can start or stop production at a moment’s notice. Such a system would allow utility operators to schedule the supply of wind energy precisely according to need, increasing dependability. Now, when I think of batteries, I inevitably imagine a sleek-looking pair of AA’s. However, it turns out batteries can come in all sorts of shapes and sizes if you look in the right places. A team at the University of Minnesota recently completed a study in partnership with Xcel Energy to determine whether a battery system could, in fact, be effective at transferring energy from off-peak to on-peak availability. Sure enough, the experiment was a success, but the battery they used (manufactured by NaS) was the size of two 18-wheelers and weighed a whopping 80 tons! And this is just one kind of exotic battery that may eventually be used in conjunction with wind farms; another is a flywheel system in which energy is transferred to a free-spinning rotor on an axis and stored kinetically. Pretty cool, if you ask me. In fact, AWEA estimates that the US could increase its wind capacity tenfold before battery storage would really be necessary. In the meantime though, battery storage is a neat trick that would have its uses. For instance, many small towns in isolated areas are not well-served by transmission lines. If the transmission were to fail for some reason, batteries could allow the town to keep an emergency center open until power was restored. It’s safe to say the Energizer Bunny would be proud.